Congratulations to Keegan Slijker (Fitness Up North founder for winning 1st place in Manitoba’s premier undergraduate student competition and being the recipient of the People’s Choice Award. Keegan and his team run basketball camps in northern communities across Canada to improve physical literacy for youth of all ages, skills and abilities. To enter the competition, Keegan had to submit an executive summary, followed by a full business plan in the next round. He advanced to the semi-finals and had to do a presentation and Q&A in front of a judging panel of local business professionals. He advanced to the finals, together with 3 other competitors. The championship round was another business presentation in front of a new judging panel, followed by 10 minutes of Q&A. 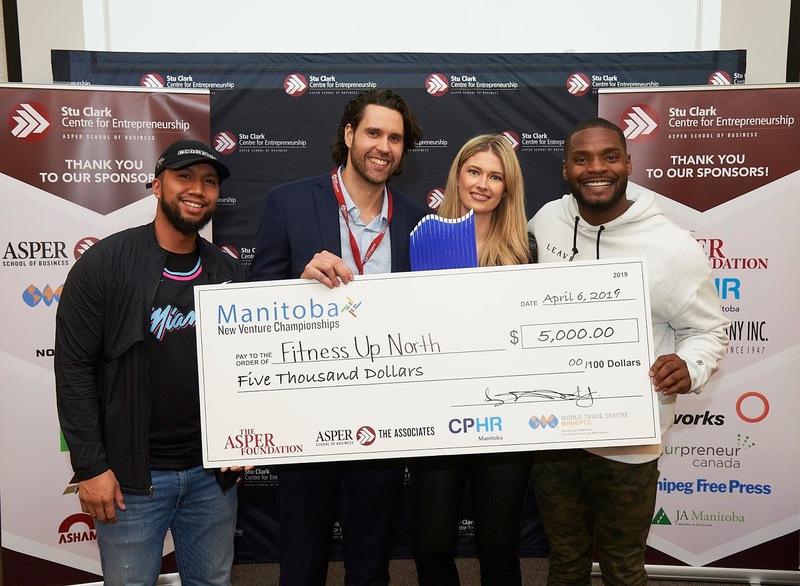 Fitness Up North is considered social entrepreneurship and was quite an unconventional business model in the competition.